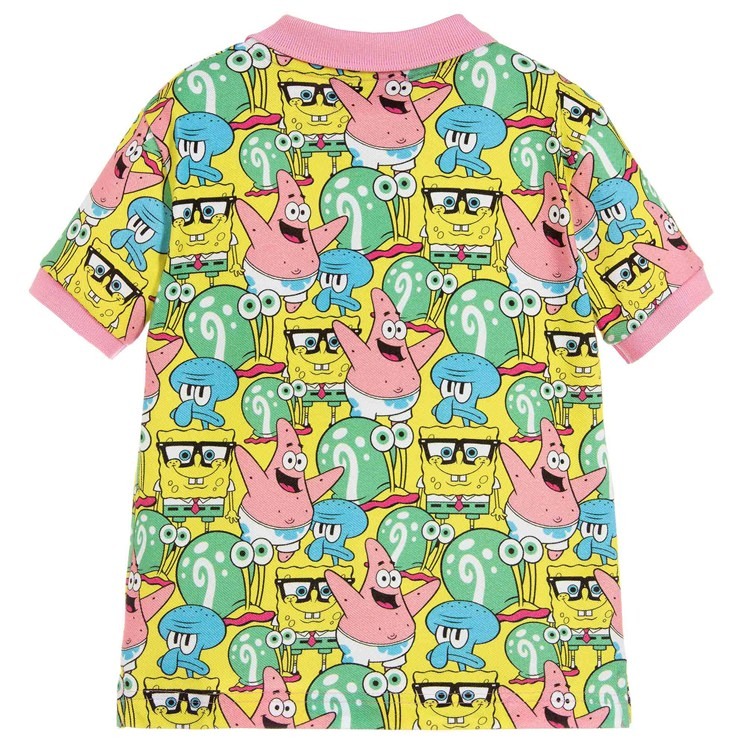 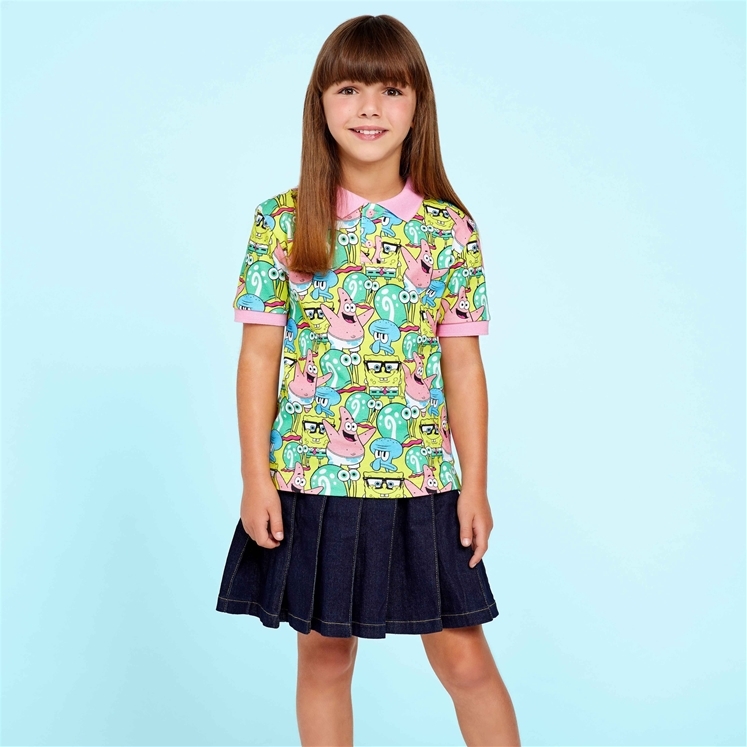 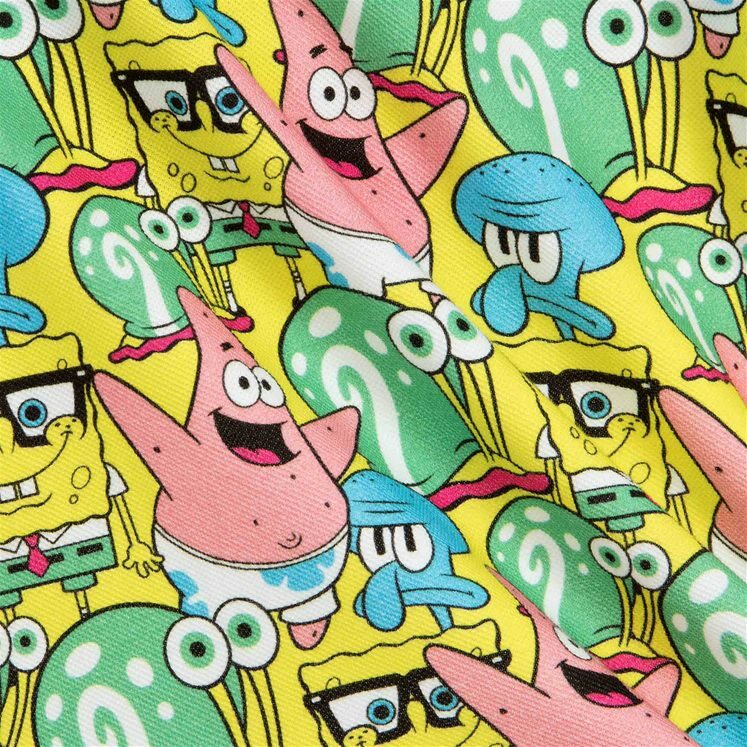 A vibrant yellow, covered in everyone's favourite characters from cult TV show 'Spongebob Squarepants' including, Spongebob, Patrick Starfish and Squidward Tentacles. 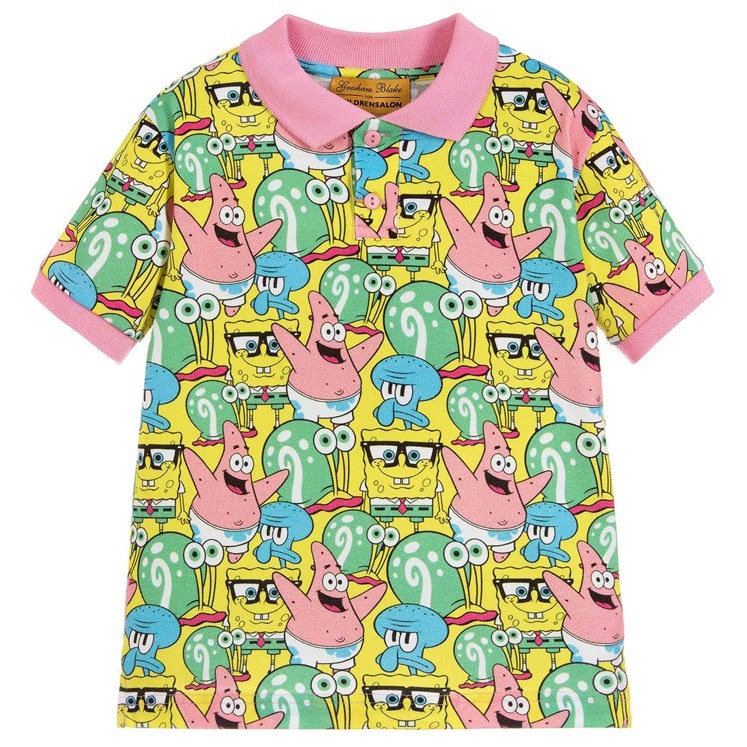 This limited edition design is in sizes 2-16 years. 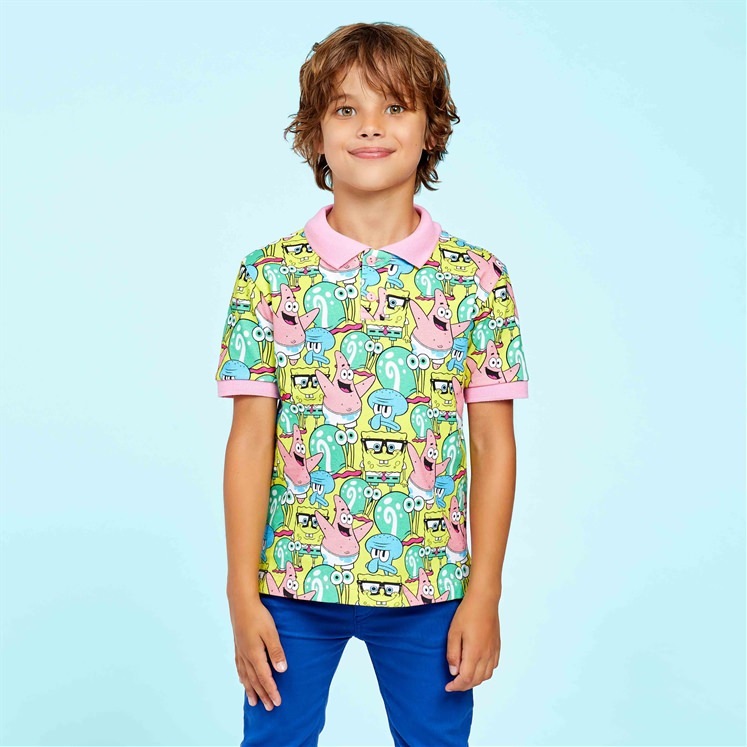 Adults 'Mini-Me' version also available. 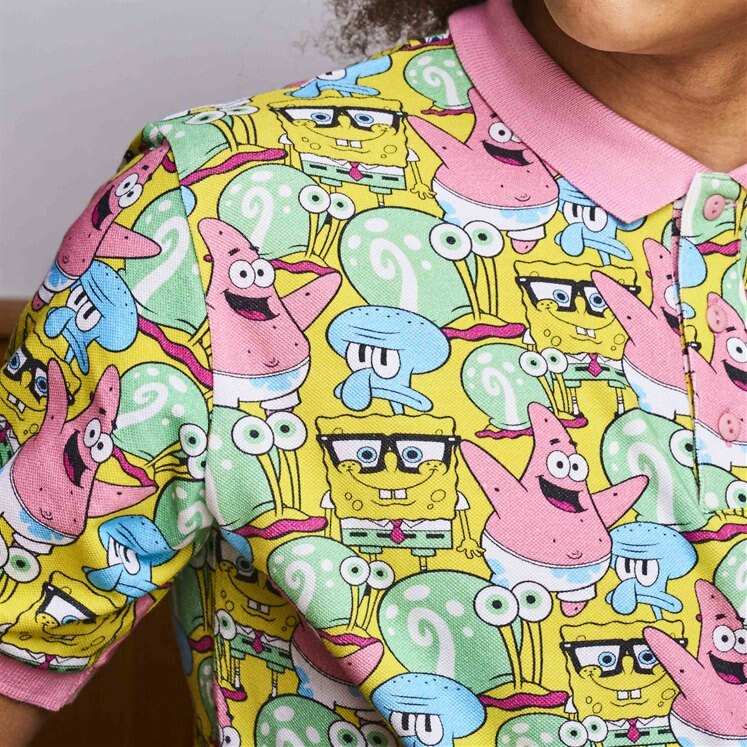 Designed by Gresham Blake in collaboration with Nickelodeon and Childrensalon.